At FLY, we believe that ALL our children deserve a chance to become more than their past mistakes. Founded in 2000, Fresh Lifelines for Youth (FLY) is an award-winning nonprofit working to break the cycle of juvenile violence, crime, and incarceration. FLY believes that all our children deserve a chance to become more than their past mistakes. FLY’s legal education, leadership training, and mentoring programs motivate and equip youth to change the course of their lives. We are also committed to helping our juvenile justice systems become more just, humane, and equitable. As a result, FLY increases safety in our communities and decreases the costs and consequences of crime. FLY’s mission is to prevent juvenile crime and incarceration through legal education, leadership training, and one-on-one mentoring. FLY envisions a country where all kids grow up valued and supported, and the pipeline to prison is replaced with meaningful opportunities for kids to live healthy, free, and productive lives that make stronger, safer, and more vibrant communities for us all. At FLY, we embrace a diversity of identities, beliefs, thoughts, and experiences. We commit to creating a strong organizational culture of equity and inclusion in order to better serve our youth and our communities. We also commit to identifying the root causes of inequity in the education and juvenile justice systems and to helping rebuild those systems to be more effective, humane, and just. Poverty, racism, immigration discrimination, and other forms of marginalization put youth at greater risk of violence and incarceration. FLY’s program interventions, combined with extensive community and systems collaboration, disrupt the pipeline to prison and put kids on the path to a healthy, free, and productive life. Through this work, FLY has a positive impact on our youth, the communities we serve, and the systems in which we operate. FLY’s Theory of Change charts how our five program interventions empower youth, communities, and systems to experience transformation. Click here for more information. 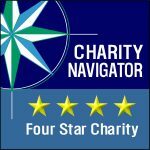 Charity Navigator, the largest charity evaluator in America, ranks FLY among the top nonprofits in the nation based on financial stability, efficiency, accountability, and transparency. 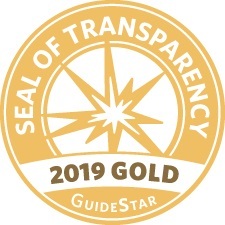 FLY has also received the GuideStar Gold Seal of Transparency.